Posted on November 25, 2018 by Mike Sonnenberg Posted in Schools	. The Sessions Schoolhouse is the oldest cobblestone schoolhouse still standing in Michigan and possibly the oldest one-room schoolhouse in the state. The School was built with local fieldstone by Alanzo Session, a New York school teacher who moved to the Ionia area. He built the school on his property to educate the local children. 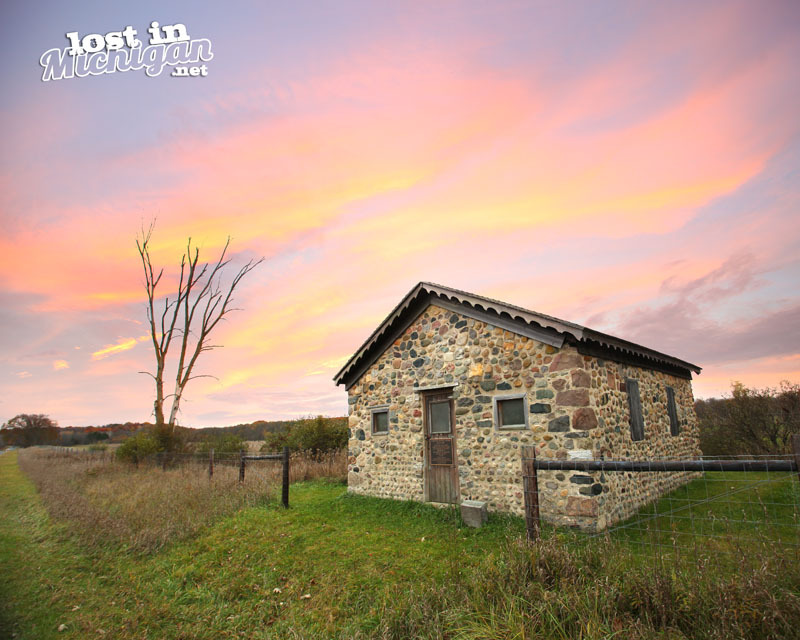 Session’s house is gone, but the old schoolhouse still stands in the northern part of Ionia State Recreation Area.